The true test of Christian character is how we treat people, especially those considered unimportant in our society, when no one is looking. If you are unable to work due to a physical or mental impairment, we can help. We can handle your worker's compensation claim no matter what stage you are currently in. If you have suffered personal injury or the loss of a loved one due to the negligence of someone else, we can assist you. Obtaining Social Security Disability Insurance or Supplemental Security Income (“SSI”) can be a long and difficult process. If you are going through the disability process on your own, it can be a very stressful period in your life. At Davis Disability Group, we are informed about this process and our focus is assisting you through this journey. 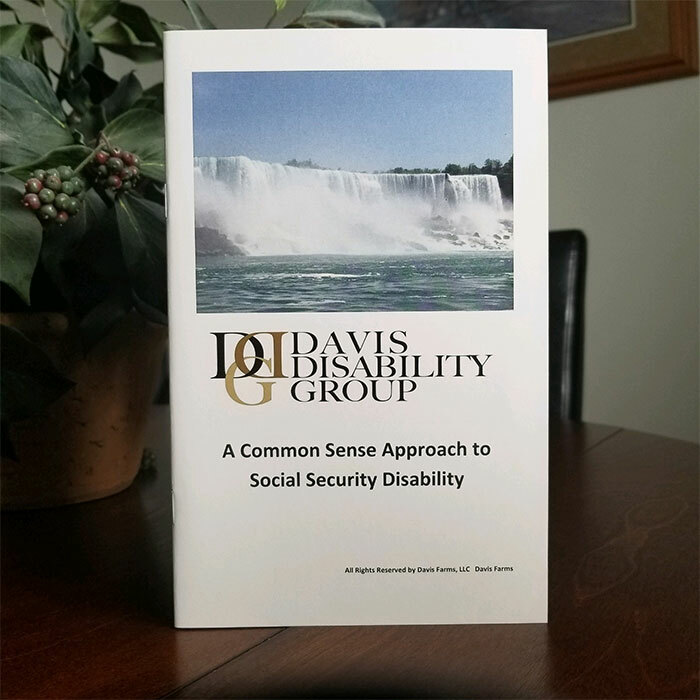 At Davis Disability Group, we have 35 years of experience in Social Security Disability law. You will meet with an attorney from the beginning to discuss your disability claim. Our attorneys and experienced staff can educate you on the disability process, keep you informed, file your appeals, organize and submit your medical evidence, prepare you for your hearing, and fight to obtain the benefits you deserve. We understand times are tough, that’s why there are no attorney fees paid unless and until you win. Our attorneys aggressively approach your case with compassion and determination. We’re proud that our law firm offers top-notch legal services for those working through disability claims. We have been representing injured workers since 1982. Purchase Our SSD/I Informational Booklet! Learn everything you need to know about social security disability and income. Purchase our booklet here for only $4.99 + shipping. © 2018 Davis Disability Group. All rights reserved.